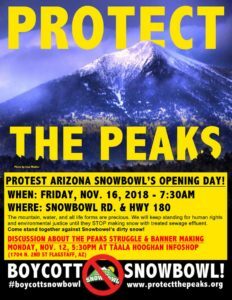 Protest Arizona Snowbowl’s opening day! Please email protectpeaks@gmail.com to coordinate carpools. The mountain, water, and all life forms are precious. We will keep standing for human rights and environmental justice until they STOP making snow with treated sewage effluent. 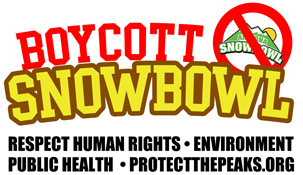 Come stand together against Snowbowel’s dirty snow!